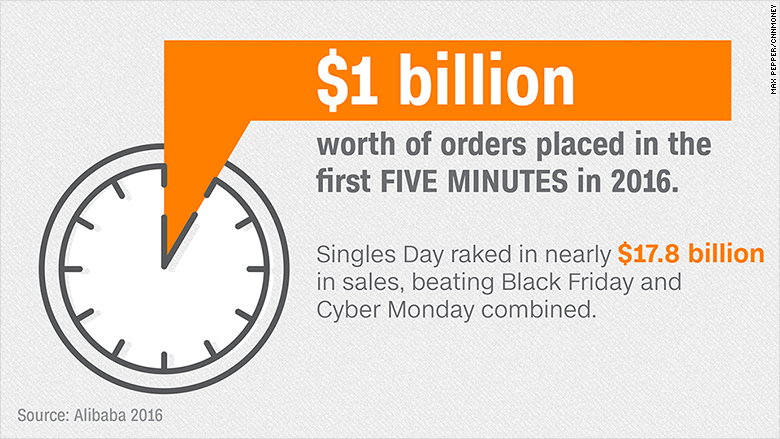 China's Singles Day has smashed records yet again. The total value of orders reported by e-commerce giant Alibaba during this year's online shopping bonanza hit $17.8 billion, easily topping the previous record of $14.3 billion set in 2015. 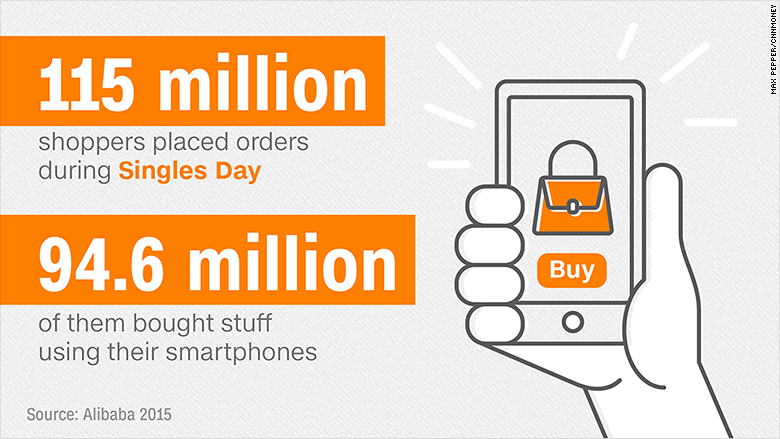 That's more than Black Friday and Cyber Monday combined. In just the first five minutes of this year's festival, crazed shoppers spent more than $1 billion. 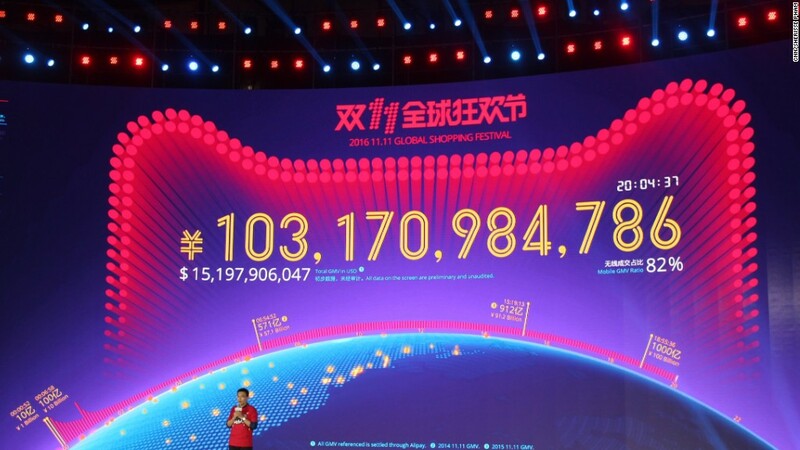 In 2015, more than 115 million shoppers placed orders with Alibaba on Singles Day. Alibaba and rival e-commerce site JD.com (JD) said more than 80% of Single Day transactions took place on a mobile phone this year. 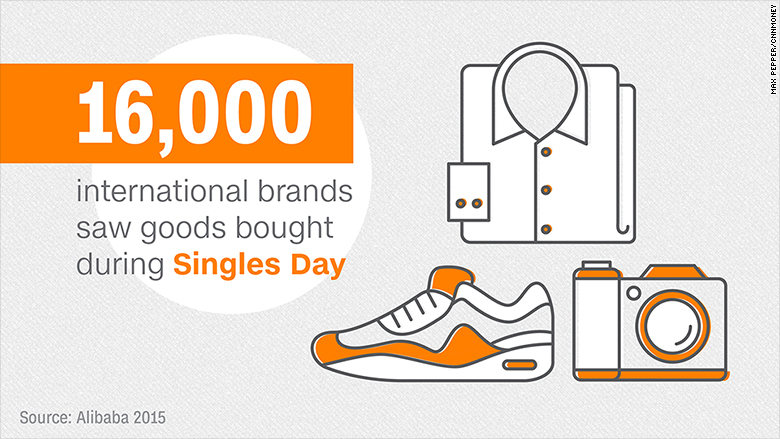 Alibaba launched its Singles Day sale in 2009 with 27 merchants. Now more than 16,000 brands participate. Burberry (BBRYF), Apple (AAPL) and Victoria's Secret made their debut this year, joining companies like Lululemon (LULU) and Gap (GPS). Online shopping is nothing without a strong logistics network that can deliver packages to customers. 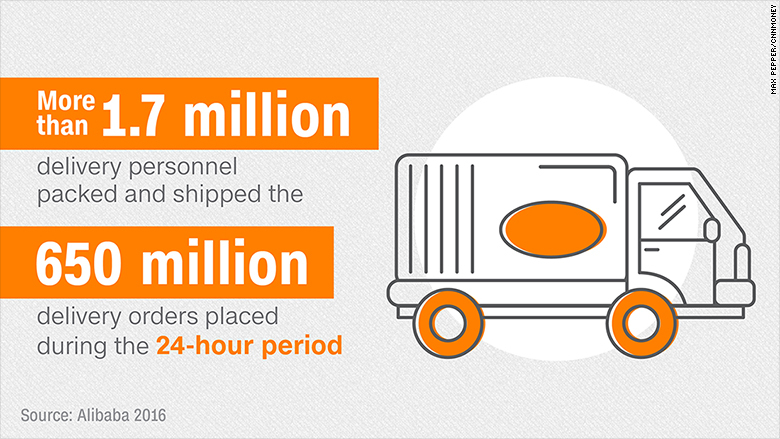 This year, Alibaba's logistics arm Cainiao Network will use more than 1.7 million delivery personnel to pack and ship the 650 million delivery orders that were placed during the 24-hour buy fest. 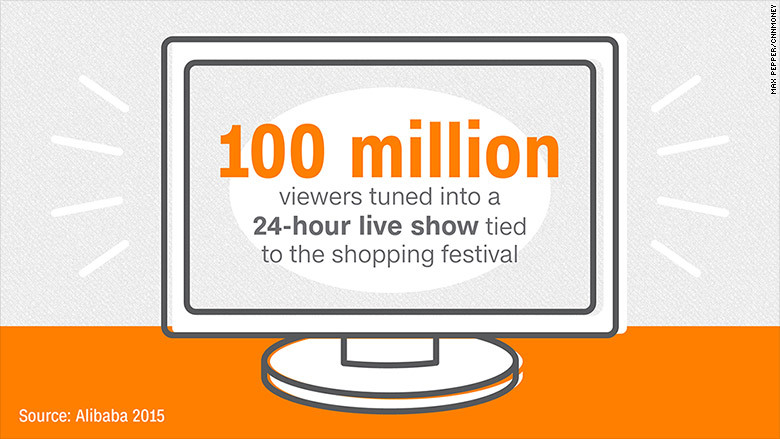 More than 100 million viewers tuned into a 24-hour live show tied to the shopping festival in 2015. 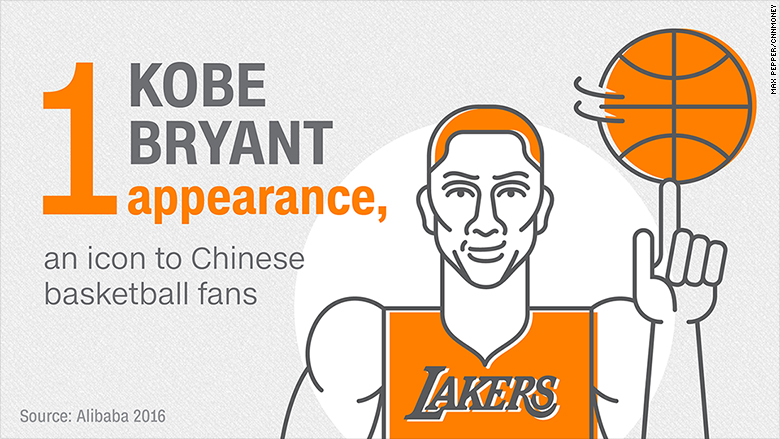 This year, Alibaba prompted people watching the show to open the company's app and shake their phones to nab discounts and deals. Ahead of the midnight start, Alibaba broadcast a three-hour gala that was part variety show, part MTV music awards. Former NBA star Kobe Bryant was this year's headliner, after singer Katy Perry canceled at the last minute citing a family emergency.